In front of two capacity crowds, the students, teachers and professional dancers for the Fifth Annual Dancing With The Teachers put on a memorable show that filled the night with hope, laughter, some tears, inspiration, and, of course, the power of dance. 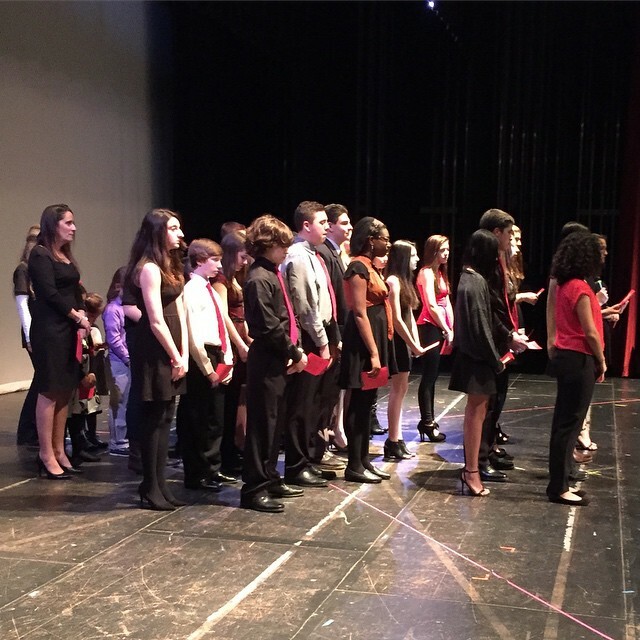 The show began with the powerful message from the students. Ranging from the ages of three to 18, students spoke about the evolution of Dancing With The Teachers, why they are committed to raise money for Stand Up 2 Cancer, and how they helped create and build a show that had raised more than $100,000 in the previous four years. The moment was especially powerful as the first group of students to speak are seniors at North Rockland High School. It was their group that created the show. They have left their mark, not only on our District, but on the world. The NRCSD Students opening the show. Afterwards, the teachers and their dance partners took to the stage, wowing the audience with their routines. Paired with professionals from New York DanceSport in New City, New York, the two night performance was a culmination of months of rehearsals. Most of the 10 teachers committed to the show without having any prior dance experience. The pros from New York DanceSport changed all of that as the 10 contestants each gave a memorable performance. The magical performances continued with a group of alumni dancers from seasons one through four taking the stage in a dance battle. With a finale performance by all of the dancers involved, it was time to announce the winner. The voting was tight, an indication of just how well each teacher performed. Friday night, Kathy Tantillo’s Hip Hop routine with professional partner Nolan Josephs won top honors. 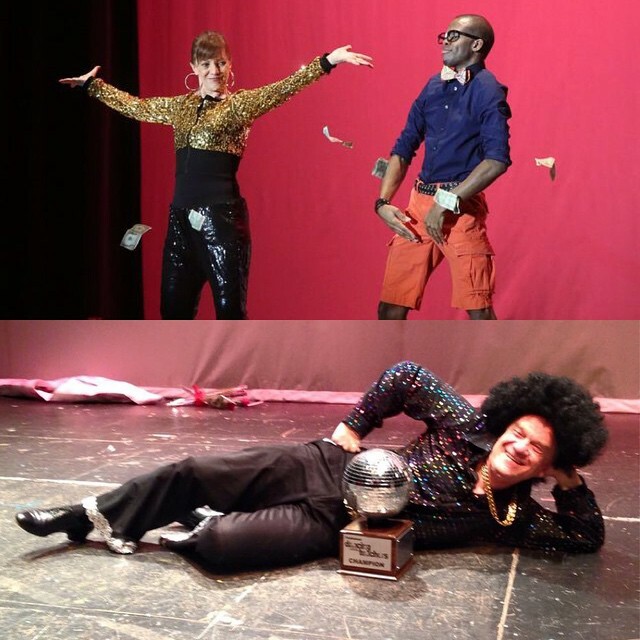 On Saturday Night, it was Herb Roff’s Disco routine with professional partner Xiomara Forman winning the top prize. Friday Night winner Kathy Tantillo and Saturday Night winner Herb Roff. Although the night is labeled a competition, it is much more than that. It is a night of inspiration. Actually, it is more than even inspiration. It is a night of action. A community–students, teachers, dancers, parents, and attendees–took action against a disease. Everyone left Fieldstone Middle School as a winner. Check out the Rockland Journal News Lohud’s Photo Gallery from Saturday’s show. Thank you Talia!!! We love that you looked us up on our website. See you in school!